Background/Purpose: Mental health problems are prevalent in pediatric rheumatology patients. Gaps in knowledge exist regarding the detection, effective treatment, and the impact of mental illness on patients with rheumatologic disease. To address these gaps and direct research efforts to improve mental health for children and adolescents with rheumatologic diseases, the Childhood Arthritis and Rheumatology Research Alliance (CARRA) Mental Health Workgroup developed and prioritized an agenda of research topics. Methods: A systematic review of the literature on mental health in pediatric rheumatology was completed and published. From the review, 5 major research domains in further need of study were identified: (A) mental health burden and relationship to pediatric rheumatologic disease, (B) impact of mental health disorders on outcomes, (C) mental health awareness and education, (D) mental health screening, and (E) mental health treatment. Research topics within these areas were developed and presented at the CARRA Mental Health Workgroup Annual Meeting in April 2018, where they were discussed and refined. An online survey was created to prioritize the 33 refined topics.The survey was emailed to 132 people who expressed interest in the workgroup, including pediatric rheumatologists, patients/parents, research coordinators, psychologists, social workers, and members of industry. Participants were asked to: i) grade each research topic on a 5-point Likert scale on how important, feasible, and actionable they were, and ii) provide an overall ranking of the research topics within each research area. Results: Fifty-six (42%) responded to the survey, and 45 of the respondents completed the survey (80%). Topics related to the impact of mental health on clinical outcomes were rated most important, and those related to mental health screening were rated most feasible and actionable (Table 1). Overall rankings revealed additional topics of high priority within each research domain (Figure 1). Conclusion: Addressing gaps in knowledge about how mental health affects youth with rheumatologic disease and how best to address mental health for these patients is an important step in improving care. We have identified high priority research topics regarding mental health of pediatric rheumatology patients in need of further investigation, that are feasible to study and believed to lead to actionable results in patient care. (B1) Investigate the impact of mental health on clinical outcomes, such as disease activity. (A1) Determine the prevalence and incidence of mental health disorders in pediatric patients with rheumatologic disease, as well as socio-demographic and disease-specific risk factors. (B2) Investigate the impact of mental health on long-term clinical outcomes, such as disease damage and mortality. (D4) Determine barriers and facilitators to mental health screening for pediatric patients with rheumatologic disease. (D2) Determine the accuracy of mental health screening tools for identifying mental health conditions in specific pediatric rheumatology disease populations (i.e. validation of tools for disease-specific diagnostic cut-points). (D1) Determine which mental health conditions are most important to screen for in pediatric patients with rheumatologic disease. (D5) Determine acceptability of mental health screening in pediatric rheumatology clinics for patients, caregivers, and clinicians, and identify strategies to improve acceptability. Means and standard deviations presented of the highest ranking research topics from 33 developed research topics addressing mental health in pediatric rheumatology around importance (relevance of the topic to advancing clinical care and research, considering existing knowledge), feasibility (ease with which research related to the topic can be conducted and completed), and actionability (ability to apply the results of research on the topic towards advancing clinical care and pediatric rheumatology research). Likert scale responses were 1 = Low, 2 = Somewhat Low, 3 = Neutral, 4 = Somewhat High, 5 = High. Disclosure: T. Rubinstein, None; L. Waqar, None; J. Woo, None; E. Ogbu, None; W. B. Lapin, None; L. Ng, None; E. Treemarcki, None; A. M. Knight, None. Rubinstein T, Waqar L, Woo J, Ogbu E, Lapin WB, Ng L, Treemarcki E, Knight AM. Research Priorities for Addressing Mental Health Needs of Pediatric Patients with Rheumatologic Disease [abstract]. Arthritis Rheumatol. 2018; 70 (suppl 10). 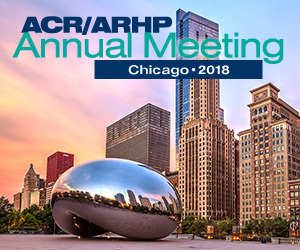 https://acrabstracts.org/abstract/research-priorities-for-addressing-mental-health-needs-of-pediatric-patients-with-rheumatologic-disease/. Accessed April 18, 2019.